In searching for the USMC real surplus shovel, we found this shovel was the closest. It is much heavier and more durable the standard tri-fold shovel. 5ive Star added a pick and we find it to be a good, solid tool. We highly recommend it. It also fits into the new MOLLE shovel covers. 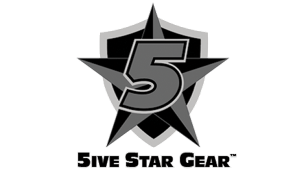 The 5ive Star Gear® GI Spec 3-Fold Pick/Shovel is an exact copy of the original U.S. Military version. The tri-fold design folds up for easy carrying and storage when not in use. It opens to 23 inches when fully extended and collapses to 9.5 inches when closed. The shovel features a steel blade with an axe and serrated saw edge and aluminum handle. Also, as an added bonus this shovel includes a pick for rough terrain digging, removing rocks, or cracking ice. Click the button below to add the GI Spec Tri-fold Pick Shovel - 5ive Star Gear to your wish list.